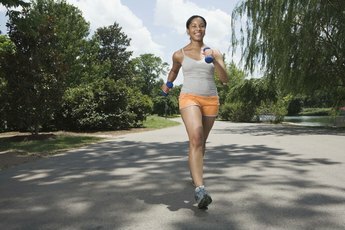 Moderate cardiovascular exercise can boost your immune system. Cardiovascular exercise has seemingly endless health benefits: It helps prevent all kinds of issues related to heart attack and stroke, such as obesity, high blood pressure, high cholesterol and diabetes. It can even help prevent or treat depression. So, it should be no surprise that moderate cardiovascular workouts benefit the immune system, too. Remember how you'd get sick in college during winter break as soon as you finished that demanding schedule of end-of-term exams and papers? You probably recognized intuitively that heightened stress is bad for your immune system. It makes your body more susceptible to viruses such as a head cold, mononucleosis, flu and others. Cardiovascular exercise reduces stress, so it naturally helps preserve your immune system function. The U.S. National Library of Medicine says cardiovascular exercise can help reduce the risk of bacterial infection in two ways: First, it can help cleanse bacteria from your lungs that may have caused a cold or other illness. The higher body temperature can also help fight bacteria before you get sick and develop a fever in response. The library also notes that exercise releases antibodies and white blood cells, both of which help your immune system fight infection and disease. Cardiovascular exercise may even bolster the immune system of a cancer survivor after chemo treatment. An October 2012 study by the University of Nebraska Medical Center broke the exciting news. Cardio exercise may flush harmful T-cells and replace them with good, immunity-boosting ones. It's too early for a definitive explanation, but as researcher Laura Bilek told the American Physiological Society, "If exercise indeed strengthens the immune system and potentially improves cancer surveillance, it's one more thing we should educate patients about as a reason they should schedule regular activity throughout their day and make it a priority in their lives." But don't take your exercise habit too far, because too much of a good thing can weaken your immune system. A 2009 study by the University of Illinois found that too much exercise weakens immunity. If you put too much strain on your body, as you might if you're training for a marathon or bike race, it makes you more likely to get sick. The best cardio for immune system health is moderate exercise -- just 20 to 30 minutes three to five times a week. The New York Times: Phys Ed -- Does Exercise Boost Your Immunity? ABC News: What Are The Benefits Of Aerobic Exercise, And How Often Should I Exercise This Way? How Does Exercise Reduce Blood Pressure & Stress? 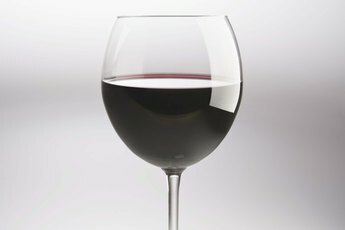 What Are the Benefits of Red Wine & How Much to Drink Each Day?